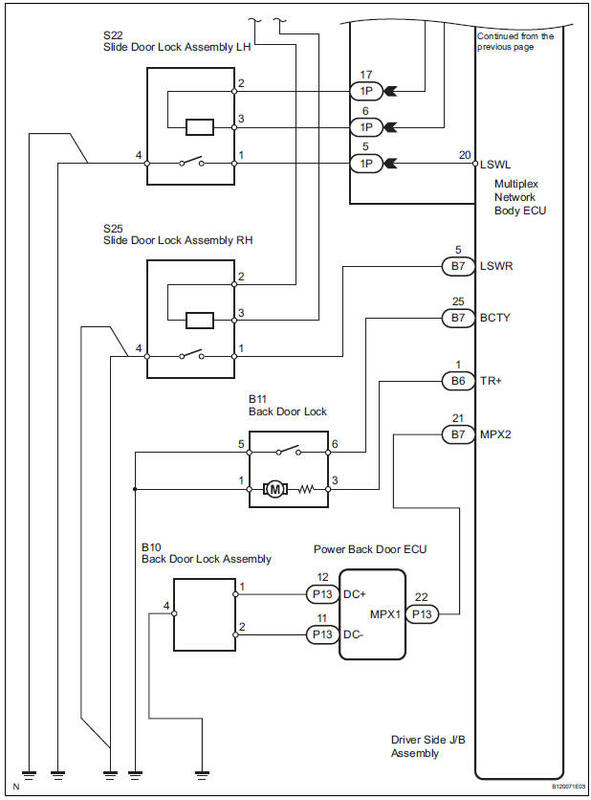 The body ECU receives a switch signal from the master switch, the door control switch, the driver door key cylinder and the passenger door key cylinder and then drives the door lock motor. Remove ECU-B fuse from engine room junction block. 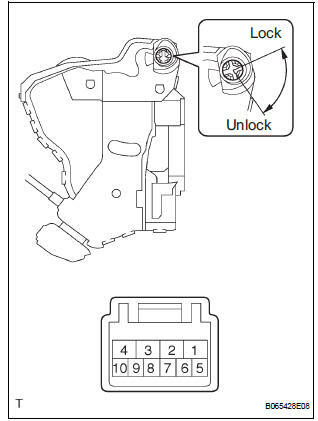 Select the ACTIVE TEST and then check that the power door lock operates. HINT: During the ACTIVE TEST, the intelligent tester sends a signal to the body ECU to drive all the power door lock motors. 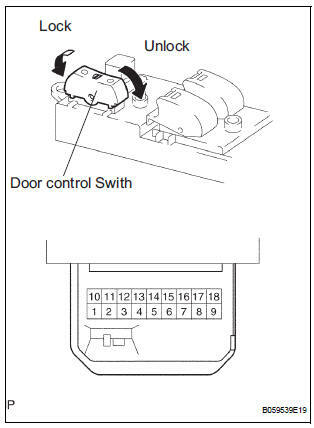 If the power door lock operates, the power door lock motor itself and the wire harness between the power door lock motor and body ECU are considered to be functioning normally. 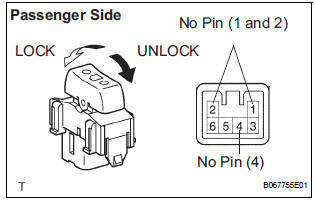 When manual door lock/unlock operation via the master switch can not be performed, proceed to A. 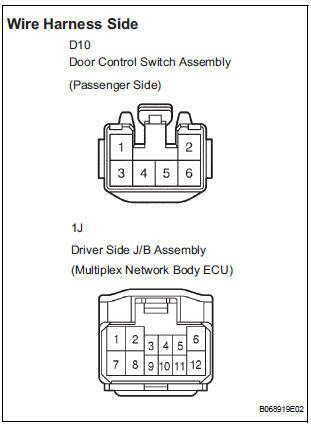 When manual door lock/unlock operation via the door control switch (passenger side) can not be performed, proceed to B. 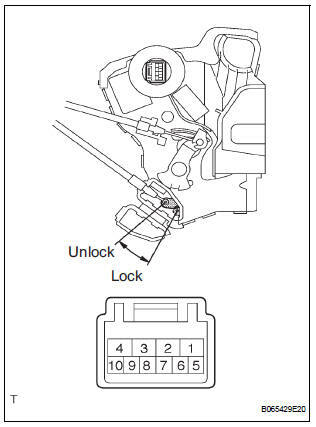 When manual door lock/unlock operation interlocked with the driver side door lock key cylinder can not be performed, proceed to C.
When manual door lock/unlock operation interlocked with the passenger side door lock key cylinder can not be performed, proceed to D.
Disconnect the D9 switch and 1K J/B connectors. Passenger side: Inspect the resistance of the switch. 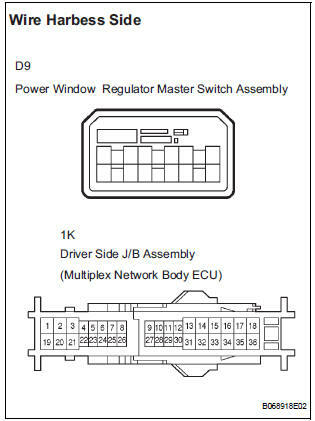 Disconnect the D10 switch and 1J J/B connectors. 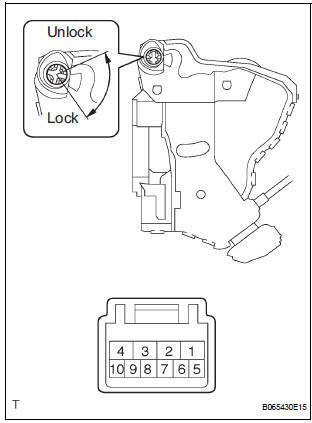 Apply battery voltage and inspect operation of the door lock motor. 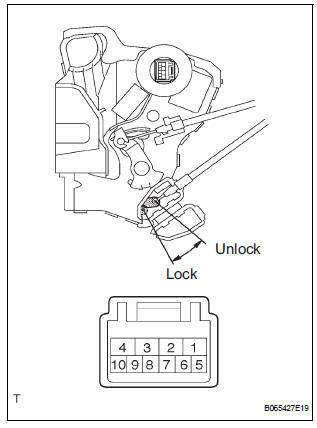 Inspect the resistance of the door lock and unlock switch. Inspect the resistance of the position switch. 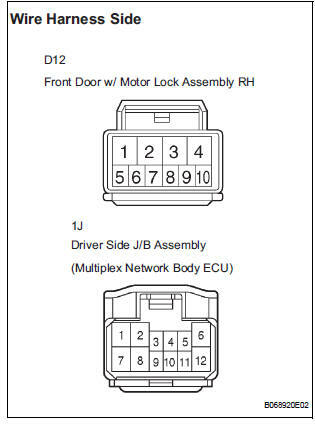 Disconnect the D11 door lock, B9 and 1K body ECU connectors. 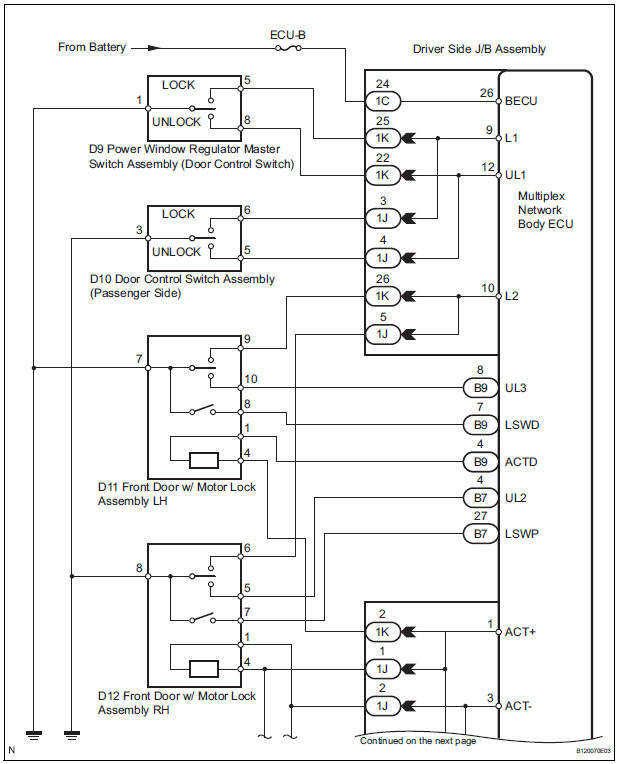 Disconnect the D12 door lock and 1J body ECU connectors.